Steam’s steady march of progress towards reinvigorating the mod scene by simplifying their installation with the news that Civilization V is to get Steam Workshop support. 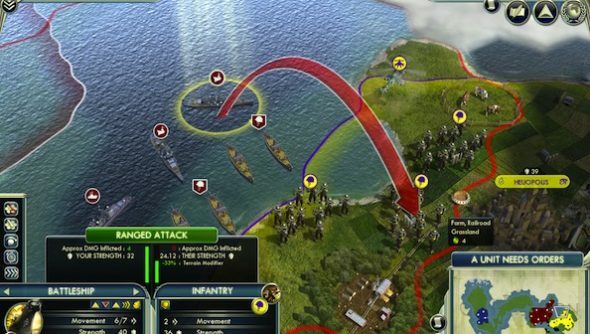 Civ V’s mods had previously been distributed by a bespoke in-game mod interface. That’s now ditched, meaning users can install, rate and promote mods from Steam’s mod interface. Here’s a thought: Civ V is made by Firaxis, who are working on XCOM: Enemy Unknown. Let’s hope XCOM gets some Steam Workshop loving, eh?